Denise Wall - DWDE LTD.
Denise Wall is the artistic director and co-owner of Denise Wall's Dance Energy. 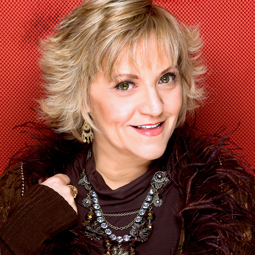 A respected teacher and an award winning choreographer for more than 30 years, Denise is devoted to the art of dance. Denise's students have gone on to perform on Broadway, television, commercials, film and in professional dance companies. The American Ballet Theatre, the Fox television show, So You Think You Can Dance, Susan Stroman's revival of The Music Man, Wicked, West Side Story, Disney and Universal Theme Parks and the films Step Up, High School Musical 3, Footloose and Rock of Ages have all featured DWDE Dancers. Students in her pre-professional dance company consistently win scholarships and titles at conventions and competitions, as well as scholarships to attend professional dance schools and colleges.e. Denise has worked with Grammy Award winning recording artist Teddy Riley, Blackstreet, Chauncey Hannibal, Monifah, the group 8th Ave., Chelsie Hightower (from Dancing with the Stars) and many other professionals who come to her for private lessons. She travels throughout the United States and Canada teaching master classes and adjudicating for national conventions such as Nuvo Productions, Jump Dance Convention, and Dance Masters of America. Denise has taught for the New York City Dance Alliance Summer Intensive, and has been an ambassador and faculty member for the Dance Teacher Summit in New York City, since 2009. She is also on faculty for the Collective Summer Event, held in Los Angeles, which teaches dancers to dance on film. Her choreography has been featured in five Liberty Tax commercials. The last two were filmed in New York's Times Square featuring American Idol's singer Chris Richardson and Latin recording artist Elise Meri. Denise has worked with Debbie Allen and was on faculty for her summer workshops. She was the first recipient of the Humanitarian of Dance Award presented by the Federation of Dance Competitions. Denise was recently honored to have her 2nd cover of Dance Teacher Magazine. One of Denise's proudest moments was when Dance Teacher Magazine presented her with the 2012 Lifetime Achievement Award during the Ace Awards in New York City. Denise also received the 2012 Presidents Award given by Dance Masters of America in Anaheim, California. Denise emceed the "Dancing Under the Stars" concert at the Scera Shell Outdoor Theatre in Utah for their 28th Anniversary. Recently, Denise had the privilege to work with her son, Travis Wall and Shaping Sound Dance Company on their first show, "Come Together" and worked with them again before they left for their North American tour. Denise also made cameo appearances on Travis's television show, "All The Right Moves". She is also been featured on Access Hollywood.